As commercial enterprises and government entities have come rely on technology and sensitive information the need for high quality, physical security has grown substantially. To answer that demand, Door Closing Systems has created a patented commercial sliding door closer called “Ultra Glide” that can be easily integrated into any pre-existing sliding door infrastructure. These are often high security areas handling hazardous or protected material that require strict environmental and personnel controls. The Ultra Glide closer provides a self closing system that is completely reliable and eliminates the inevitable human error with a manual closing process. We understand the challenges of staying on the cutting edge of technology and provide a product that supports a laboratory’s ability to successfully operate in a clean, safe, and efficient manner. We have all heard the recent news stories about data and identity theft which makes the work of companies that collect such information all that harder to do. 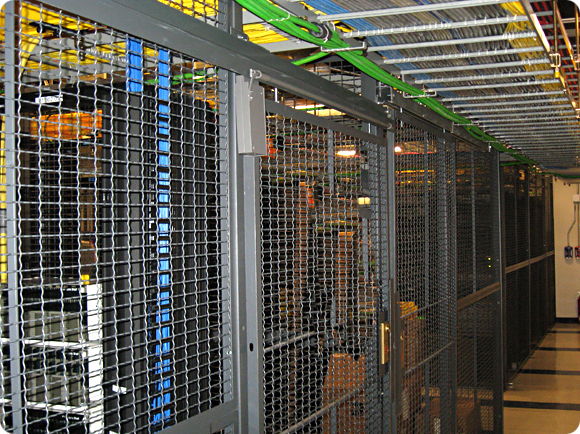 Our Ultra Glide door system is fully adaptable to server containment cages, enabling a data center to create areas with varying degrees of access for different technicians and employees. Even though the information being protected is digital and exists in the wires and the “cloud”, it still resides in large and expensive machinery that still require physical security. 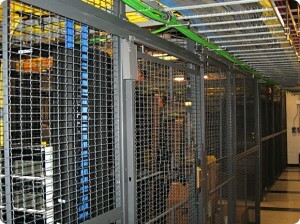 In fact, a self closing and locking cage environment is becoming a requirement by certain companies and is a key part of a successful security audit. One of the biggest challenges in storing products or equipment is theft. Unfortunately, most warehouses are not designed to adequately prevent theft as they are generally thought of as low cost “shell” structures. The Ultra Glide system can be effectively utilized in the construction of highly secure storage areas in warehouses and distribution centers in order to keep inventory loss to a bare minimum. This system is foolproof, providing automated door closing capabilities and thus eliminating the possibility of theft through employees mistakenly not closing doors behind them in secure areas. Door Closing Systems is dedicated to creating high door security systems that are guaranteed effective. Contact us for a free estimate on a physical security system to fit your specialized facility needs.